A wise Charlie Brown once said, "I won’t let all of this commercialism ruin my Christmas!" Despite years of watching the classic Peanuts Christmas cartoon, I let my first experience of working in retail totally ruin my Christmas. If you’ve worked in retail, you fully understand the nightmare that is Black Friday, the day that officially launches the commercial Christmas season. When I was 16, I got a job at an uber-trendy teen apparel store, and on the day after Thanksgiving, I watched in horror as customers ripped apart displays, snapped at each other, and yelled at my coworkers for more sizes and discounts. In return, my coworkers tried to wring them of every penny they possessed in order to make the price mark of the day. It’s a vicious cycle of taking, and by my second Black Friday as a salesperson, I hated Christmas. Like Charlie Brown, I too eventually learned that we don’t have to be victim to the commercialization and depletion of human decency (did you see what happened at this Nike outlet store?) synonymous with the holiday shopping season. Christmas doesn’t have to be ruined by massive corporations desperate to make a buck. We can make informed shopping choices and reclaim the true spirit of Christmas. 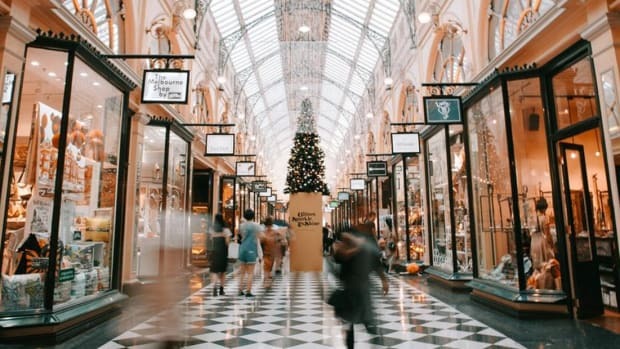 There are plenty of reasons to shop ethically during the year, but Christmastime is when it matters the most globally and personally—here’s why. 01. More is not more. I don’t know about you, but I grew up believing that the more I got for my buck, the better. Seems like sound logic, but it’s usually too good to be true. This is how I ended up with a wardrobe full of random, low-quality items I never wore. Most of the time, massive sales resulted in a bag full of non-returnable clothes I would later look at and ask myself, “Why?” But hey, I only spent $50, right? What a deal. Especially during the Christmas season, we become habituated to thinking that more stuff is always better, even if we don’t need or want it. For anyone who’s ordered a five-for-$5 deal from a fast-food joint, you know that sometimes more is simply too much. More stuff doesn’t make anyone truly happier or feel more loved. As I bought more and more stuff for my sisters, I put less meaning into each item. When I didn’t think about the meaning behind each gift, I only saw the gift as one-dimensional. I didn’t think of the item beyond its appearance—I didn’t think of where it came from, who made it, and why it was valuable. It was just an item to wrap in tissue paper for the sake of giving a gift on Christmas. Once I started thinking of my purchases as three-dimensional—where it came from, who made it, and why it’s valuable—my perspective on gift-giving changed. Suddenly, my gifts weren’t just things; there was a person behind each item, which made me really think about what brands I was supporting. 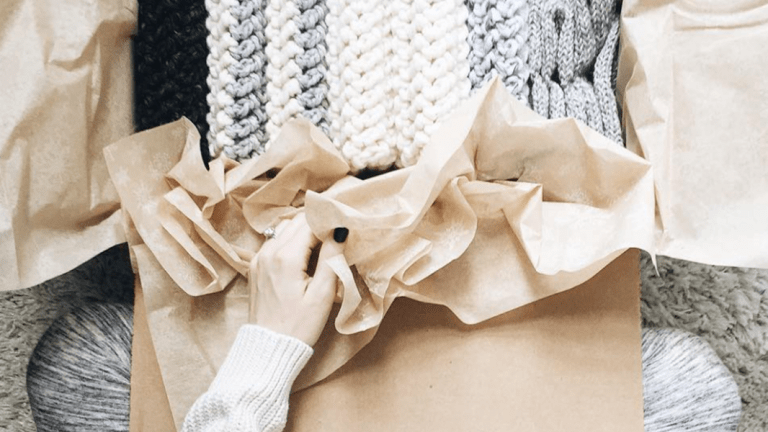 When I made the switch to ethical shopping, it helped me make a connection with each gift, allowing me to give to others more thoughtfully. I recently bought my sister an ethically made scarf that benefits Haitian orphans, and when I see her in it, I also see the artisan who made it. A thoughtful purchase means that you’re thinking of the receiver and the person who made it. Fast-fashion and big-box stores tempt us every year with BOGO sales and promises of 50 percent off a purchase of $200 or more. From many years of being both customer and salesperson, I learned that stores will trick customers into thinking they’re saving money when they’re actually spending more. In the end, I discovered that the low-quality items (that the store wants to get rid of) are always dramatically reduced, whereas the high-quality items are not reduced at all. 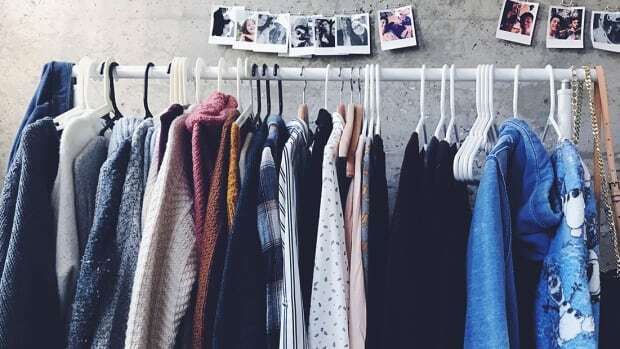 Shopping ethically might seem like the more expensive route because of the higher quality, but choosing items ahead of time from an ethical fashion brand will help you avoid the chance of binge shopping at the mall and thus spending more money than originally planned. Plus, you’ll actually be getting your money’s worth by investing in a high-quality gift. The holiday season is one of the most stressful times of the year, usually because of all the shopping we believe we have to do. Malls and shopping centers become a battleground. It’s important to remember that no sale can force you to fork over $200 or shove that lady who’s reaching for the same sweater as you. When making the choice to shop more consciously, it eventually feels natural to ignore the temptation to shop. It’s like being addicted to sugar; once you’re off it for a while, you stop craving it. 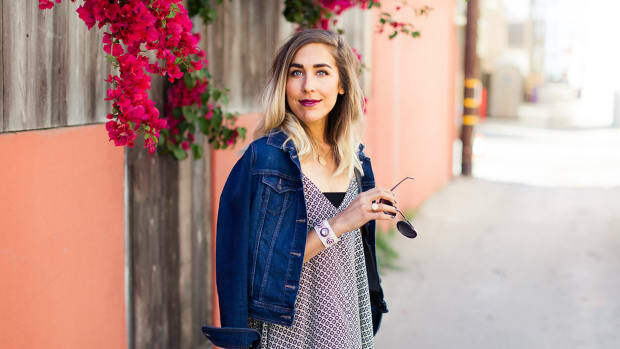 I used to be a fast-fashion shopaholic, but once I adjusted my habits, I started to see how crazy I was for spending any money on low-quality items. By turning away from these sales and simply saying no to false bargains, we can regain a sense of self-control. 05. Make social impact through personal choices. 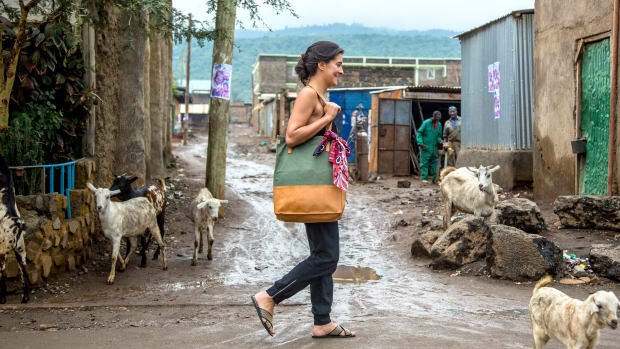 As much as shopping ethically is a global issue, it’s also very much a personal issue. Realizing how damaging the fast-fashion industry is on us personally is the key to global impact and to make real change happen for factory workers. 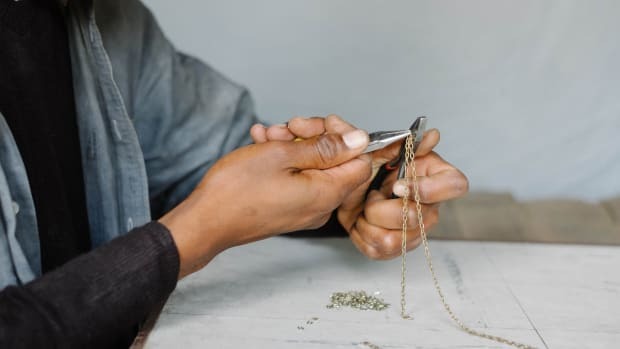 Many of us think that the fast-fashion industry only negatively affects those in third-world countries, leaving us unharmed in our first world. 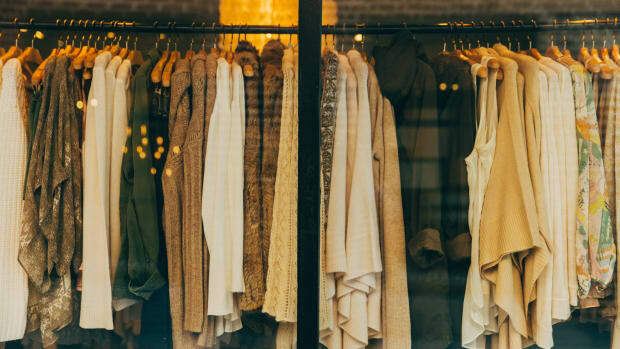 But the truth is that the fast-fashion industry does affect us negatively by manipulating the way we view the value of goods, which then influences all aspects of our lives. We have been falsely led to believe that our purchases won’t make a difference, but many ethical brands are proving we really can. When we purchase from these brands, we can directly impact the well-being of others while regaining our integrity as consumers. The extreme commercialism of the holiday season is enough to make any of us feel like Christmas is tainted. But if we make thoughtful shopping decisions and remember Charlie Brown’s message on the true meaning of Christmas, we will reclaim this special holiday once again. Feel-good fashion is always in season.